Disease has always been the scourge of mankind from time immemorial. He has consistently attempted to overcome the malady through different means. Perhaps it is these attempts that later synchronized with the formation of systems of treatment as pursued by different races and groups of the inhabitants on earth. Of the major systems of treatment pursued seriously, three approaches stand out boldly in their popularity, utility and efficacy in practice. They are the Allopathic, Ayurvedic and Homoeopathic systems. There are numerous other indigenously developed approaches in the treatment of diseases like Siddha (Indian), Unani (Arabic), Acupuncture (Chinese), Pranic healing, Reiki (Holland), Magneto-therapy, Naturopathy, Chiropraxy etc. Some of them use medicines for the purpose of treatment while others not. But these are all considered as alternate systems of treatment to the three major methods, Allopathic, Ayurvedic and Homoeopathic. Of these, Homoeopathic is, perhaps the latest, brand new addition of the scientific minded, rational man, to the other two major, long existed, age old, methods. The word ‘Homoeopathy’ is Latin, which means similar suffering. (Homoeo = similar and pathy = suffering). Substances possessing poisonous property to produce sufferings in healthy human beings when used in small doses become medicines to cure natural diseases of similar sufferings. This was an old principle stated by Hippocratus, the father of modern medicine. A German allopathic doctor named Christian Friedrich Samuel Hahnemann (1755-1843) verified the above principle convincingly while investigating into the reason for cure of malaria by cinchona. He subsequently continued research with the verification of results on similar experiments made and founded a new system of medicine, to which he gave the name as Homoeopathy. It was he who had named the prevalent western system of medicine as Allopathy because he had proved medicines used in allopathy to treat a particular disease, as producing opposite or indifferent signs and symptoms (Allo = opposite; pathy = suffering) when tested in healthy human beings, than those of the disease treated. 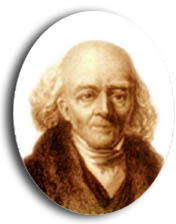 It is only about two hundred and odd years since Homoeopathic system of treatment was first introduced into the world by Hahnemann, its celebrated inventor. For reasons advanced, analyzed and studied in detail regarding the origin and cure of diseases, it is possible to get convinced that Homoeopathy is the only true healing art of the mankind, especially having been carefully designed to ward off any toxic effect of the drug use necessitated by various systems of treatment for the cure of diseases. Unlike any other system of treatment that use medicine in any form as a tool to abate disease, homoeopathy has an exclusive and refined method of preparation of medicines, to save man from the possibility of drug poisoning. When the extensive and large-scale preparation of poisonous drugs purported as medicines for various technically termed diseases, are used in massive doses, the human race is inadvertently surrendering to the grip of a vicious circle of diseases. This happens in two ways, primarily by the suppression of the natural diseases and secondarily by the poisonous influence of the enormous amount of medicines taken, the latter being called as iatrogenic diseases. According to the philosophy of Homoeopathy medicinal substance required to cure natural diseases is the barest minimum in quantity. But the substance used for the preparation of medicine ought have produced similar signs and symptoms as that of the disease to be cured, in healthy human beings when experimentally tested. Substances from animal kingdom, vegetable kingdom, mineral kingdom, gas, fire, electricity, magnet, disease products, secretions, hormones etc. have been tested (technically known as ‘proved’) in healthy human beings in this way in several years’ of effort by the Masters of Homoeopathy beginning from Hahnemann, for the preparation of Homoeopathic Materia Medica. From such a Materia Medica, selection of Homoeopathic medicine is made for the irradiation of natural diseases usually treated by Homoeopathy. When the medicine so selected becomes very similar in signs and symptoms it produced to the signs and symptoms of the disease treated, cure take place smoothly without leaving any sequalae (after-effect) behind. This has been verified true in almost all curable diseases time and again since the introduction of Homoeopathy to the world. Even the most stubborn cases labeled and rejected as incurable by other systems of treatment have been found to yield to well selected Homoeopathic medicines easily when the ‘similimum’ of homoeopathy work in a patient for a short period. When erudition become impregnation with the above knowledge of treatment “*Homoeopathy offers a life of service to humanity and it is the only method of healing that surely sets the sick man and sick woman on the permanent road to recovery.” Diseases are situations created by the desperate attempt of the defensive mechanism of an individual to re-establish health. From among the Homoeopathic materia medica, it is possible to select a medicine resembling the signs and symptoms of any disease, old, existing or new because Homoeopathic materia medica is the stock of a large variety of tools capable of combating any such situation created by an individual for the purpose of maintaining his health. Unlike in case of the other modern systems of treatments Homoeopathy, therefore, need not wage a war afresh in case of whatever malady man is compelled to face. Homoeopathic physicians only needs to select the most suitable weapon of medicine already available in his armamentarium of medicines in which one will always be available befitting to each individual victim who suffers from whatever diseases. Beware that it is not the disease that matter but the man suffering from the particular disease. Due to the very same reason it is also possible that even a most modern disease hitherto not heard of can also be prevented by Homoeopathic medicine in individuals because the defensive mechanism necessary to work in a situation similar to that of such an impending disease could be created by a medicine that almost always exist in Homoeopathic materia medica. Homoeopathy maintains a holistic outlook. It treats the man in disease and not the disease in man. Contemporary people on earth are demanding a way to regain their lost health in order to face the challenges that technological civilization has imposed on them. Homoeopathy can help the ailing humanity in this endeavor, because it studies man in all his three levels of existence, the mental level, the emotional level and the physical level. The mental and emotional levels are primarily involved in the loss of his health rather than the physical level but his primary concern goes to the physical level and the other two are neglected. Thus his imaginations always fall short of understanding the diseases in its proper perspective. His efforts to restore health, therefore, become tedious and ineffective. His desperate attempt to drive away disease from the physical plane ultimately results in the suppression of diseases. Thus diseases become more and more complicated; migrate from less important organs to more important organs; change from less complicated state to more complicated one; shift from a sophisticated phenomenon to become an un-understandable one. Approaches: Curative, Preventive and Palliative. Homoeopathic approach, just as explained in the above paragraph is, therefore, holistic and curative in nature while in modern concepts other than that of Homoeopathy, suppression of diseases take place in the name of scientific solutions. In Homoeopathic treatment the patient’s mental and emotional levels are primarily set right so that the sufferings in the physical level follow suit and normal health is restored. In circumstances where modern medicine fail to open-up a way into the encroached innermost parts of the cell in which the disease producing virus easily gain access, Homoeopathic medicines that perform an eccentric work evicts the viruses from their habitat in the interior of the cell and restore primary normalcy there so that rapid cure and restoration of health follows. 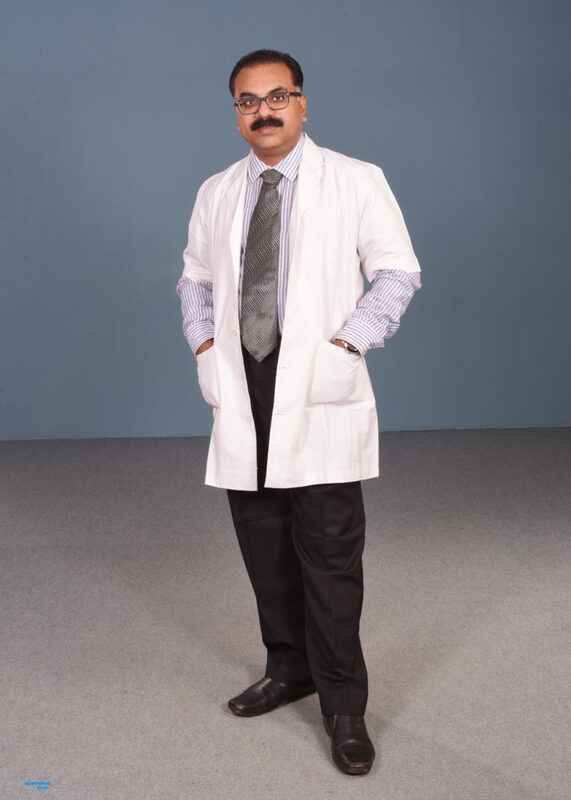 In the sphere of preventive medicine Homoeopathy is well known and most effective in situations of viral invasions precipitating an array of health problems ranging from meningitis, encephalitis, viral hepatitis, measles, scarlet fever, chicken-pox, mumps, diphtheria, whooping cough, tetanus, aids, viral endocarditis, leptospirosus, viral pneumonia and so on. The efficiency of Homoeopathic medicines to prevent conditions created by Bacilli (Tuberculosis, Bacillary Dysentery, Typhoid etc.) and Bacterial affections is well known. In advanced cases in which it may not be possible to provide a cure to the patient, most smoothening palliative work is seen undertaken by the selected Homoeopathic medicine. The socio-economic impact created by adopting Homoeopathic system of treatment is much better than any other system of treatment prevalent in the world. Manipulations are not permitted in Homoeopathy for the purpose of treatment and hence ailments like transmission of Aids never occur due to Homoeopathic treatment unlike in the dominant system of treatment in which injections, blood transfusions and laboratory manipulations on the body of the patient are frequent carrying the risk of spreading serious ailments from carriers of such diseases. Keeping morale is a pre-requisite for the effectiveness of Homoeopathic treatment and hence the patient also become healthy in mind and soul. Because the defensive mechanism is strengthened by Homoeopathic medicines, following the discipline of Homoeopathy, controls the invasion of new outbreaks of diseases like SARS, Chikunguniya, swain flu etc . Since the institution of Homoeopathic treatment is on the basis of data collected from the patient and his/her by-standers, treatment can be begun without waiting for costly investigations to fix the disease. This aspect, along with the availability of medicines in cheap rates, makes Homoeopathy cheaper than many other systems of treatment. Homoeopathy is, therefore, most suitable for the developing nations. There is only one handicap to Homoeopathy that it is very difficult to master it. It is a Devine Science that unless one dedicate his/her life for its study, it may not be possible for him/her to encompass it fully. Yet in countries like Australia, Belgium, USA, UK, Bangladesh, Pakistan, Canada, Germany, Finland, Netherlands, Holland, Switzerland, Ireland, Austria, Malaysia, Srilanka, Czechoslovakia etc. there are Homeopathic doctors who render exemplary services trying to restore the sick to health using this unique system of treatment. Many a time when diseases become a hard nut to crack to the modern systems of medicines, Homoeopathy steps in with its simple yet wonderful magical capacity to cure diseases in man, has helped to restore the sick to health and has controlled epidemics during their outbreak effectively and independently because preventive medicine was available only in Homoeopathy in many situations. 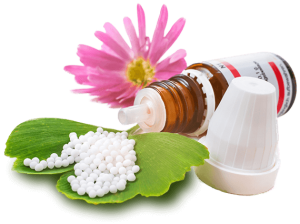 The demand for Homoeopathy, in fact, is increasing day by day in various countries mainly due to the flaws of Allopathic medicine and its characteristic inability to cure diseases except in accidental instances, definitely not due to its merit but due to natures play. Because Homoeopathy is built upon on the rock of natural laws, what was laid down as the cause of production of diseases and the principles of curing them in man always stand flawless and help the mankind to regain his health, lost, of course, because of his own fault! How Dr. Binoy Vallabhassery Assesses? Dr. Binoy Vallabhassery categorizes people into constitutional types. In homoeopathic terms a person’s constitution is his /her inherited and acquired physical, emotional and intellectual make up. A closely fitting constitutional remedy, selected according to these criteria acts preventatively and curatively. In addition to examining the symptoms of an illness, he enquires the fears, food preferences and response to general factors such as weather. He also takes into account a person’s physical appearance, weak areas of body. Dr. Binoy Vallabhassery then selects a remedy that closely matches a person’s constitutional type.